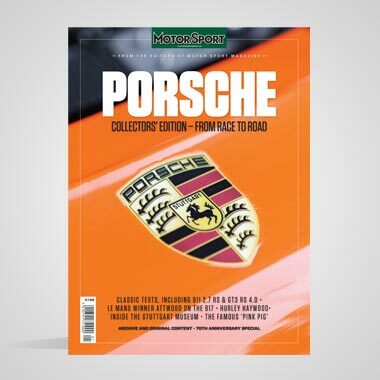 Pick a sports car race in the second half of the '80s, on either side of the Atlantic, and an image of a pack of Porsche 962s will probably spring to mind. Stuttgart's finest bulked out the grids in the world championship and IMSA for the best part of a decade, but there was another name that wasn't far behind in the numbers' game. This fondly remembered marque grew from nothing to become the world's largest constructor of sports-prototypes and ended up winning a string of major titles. Spice Engineering did it all over the course of six years, though it remains to this day one of the unsung success stories of the British racing-car industry. A company that went on to build more than 50 cars and was turning over £6 million at its peak actually came about by what the man who lent the marque its name calls "a bit of an accident". Two accidents, in fact. Had Gordon Spice not had the carpet pulled from under him when he was just about to start racing an all-new Ford C100 Group C car, he would never have found himself looking around for something else to do. And had his brother not lived next door to wealthy historic racer Ray Bellm, he might never have found the money to become a constructor. Gordy, for so long at the vanguard of Ford's British saloon car campaigns, wasn't impressed with the Blue Oval's first attempts at Group C and reckoned he could do better. Ford of Europe vice-president Karl Ludvigsen thought so too, and gave Gordon Spice Racing the deal to build and run the third iteration of the C100 sports car. When that contract was terminated shortly after the first proper run of the Tony Southgate-designed machine, Spice and his staff were left high and dry. 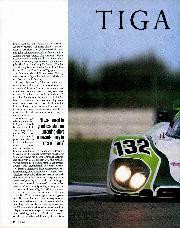 Until, that is, he met sports-car occasional Neil Crang who had just bought Tiga's attempt at a C1 racer. "There was a definite intent on my side to get something else going," remembers Spice. After a solo outing at the Brands Hatch 1000Km race at the end of '83, it was patently clear that the Chevrolet-powered car was never going to be competitive in Group C. A decision was made to step down to the new Group C Junior division for the following season. "We took the Tiga chassis, copied the front bodywork of the Porsche  and put a Cosworth DFV in the back," remembers Spice. "C2 [which Group C Junior was renamed for 1985] was the obvious way to go." Enter BeIlm. A late starter in the sport, he'd been a title winner with classic Chevrons and wanted to step up to modern sports cars. Martin Spice happened to live next door and BeIlm asked for an introduction to his famous brother. "I told Gordy that I wanted to do Le Mans and he offered me a test," explains Bellm. "I had a go in the 1984 car and he said, 'OK, come and drive with us'." 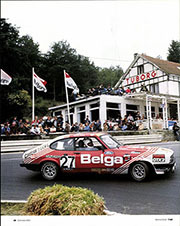 Bellm drove the Tiga GC84 four more times that season, and was never beaten. His appetite had been well and truly whetted. By the end of the year Crang had departed the scene, and Spice and BeIlm were planning bigger things. "We got on well and formed Spice Engineering over the winter," explains BeIlm. "We valued the team's assets and I put in the same amount of money, so we launched Spice as a 50:50 venture. We called it Spice because Gordy was already up and running, but we were equal partners." The new business partners would return to the World Endurance Championship for a full assault on the title in 1985, but the long-term aim was to become a constructor. The first step on that road was a car that quickly became known as the Spice-Tiga, which was built up around a revised monocoque built by the RAM Formula 1 team. 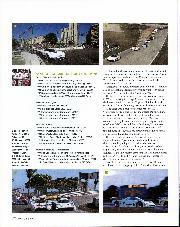 That car was the result of the input of the other two figures central to the story. Former Williams and Theodore man Jeff Hazell had joined Spice in the second half of 1984. When it was decided that the Tiga's rear suspension needed a re-think after a failure at Brands Hatch, he called Graham Humphrys, who had designed the final Theodore. All the pieces were now in place for Spice to storm the C2 market. "We saw a market for something for gentleman racers that would cost considerably less than a Porsche," says Spice. "There was very little choice in C2 at that time." Porsche provided the model for the new company, according to Humphrys. "The dream was to create a mini-962, a turn-key racer for C2," he says. "There were lots of people doing half a job at the time, but we wanted to do it properly and build a car that was adaptable to a variety of engine configurations." Work on the new design was underway when Hazell got wind that Pontiac was considering a sports-car programme. "I went out to the States to meet a guy called John Callies," remembers Hazel!. "He ended up coming over to spend the Le Mans week with us. He liked the team, everyone got on well and we ended up with a deal." Not a conventional deal, however. 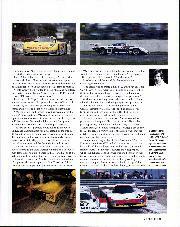 Pontiac wanted to promote its mid-engined Fiero sports car in IMSA's baby prototype class, Camel Lights. Which is why the General Motors brand, remembers Humphrys, "wanted a say in how the car looked. We were well into the design when they sent a stylist over. We ended up with a nice-looking shape, though one that was a bit compromised." Compromised, maybe, but the first Spice — the SE86C in Europe and the Fiero GTP in the US — was the class act on both sides of the Pond. 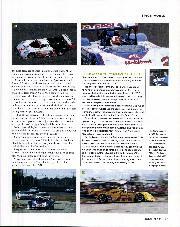 Spice and Bellm raced to a second straight world C2 title with Cosworth DFV motivation, while four-cylinder Pontiac power was good enough to make the car a winner in the US by mid-season. 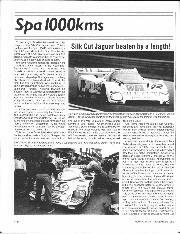 Spice had set up its own team to run the IMSA cars as well as providing the service back-up for future customers. Put in charge of this operation was yet another Theodore alumni, Julian Randles. By the end of the season, production of Spices was in full swing at the team's Silverstone base. The first car for Europe went to sports-car stalwart Hugh Chamberlain (with a Formula 1-derived Hart turbo powerplant), while three Fieros were sold to the US. Humphrys remembers having to come up with 15 different engine installations including everything from stock-block American V8s to Lamborghini's enduring V12. The Spice was just the kind of car that privateer entrants in C2 were looking for. Hugh Chamberlain had moved into the international arena with a Tiga in 1986, but the switch to a SE87C for the following year proved to be a revelation. "The Spice was a proper customer car," recalls Chamberlain. "You paid up, got in, pressed the button and off you went. It was a different world from the Tiga." No wonder Spice was on the up and up. More work was commissioned by Pontiac: first a re-engineering job on its tube-frame GTO racer and then a full-house, V8-powered GTP racer to be known as the Firebird. Another world C2 title followed in '88, while the marque finally got its hands on the Camel Lights trophy, the first of five. 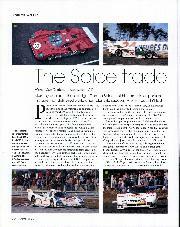 Then the newly introduced 3.5-litre Group C formula appeared to offer Spice a route to the top. Instead, it signalled the beginning of the end for the company. Two Group C1 SE89Cs, a bigger, wider version of the original car, were entered with detuned Cosworth DFR F1 engines. "It quickly became clear that the DFR wasn't going to hack it," says Hazell. "It was so much more expensive than running a Cosworth to C2 spec." Part of the staggered introduction of 3.5-litre Group C cars involved the scrapping of the C2 division. That meant the disappearance of Spice's natural market place. At the same time, recession struck just as the company had taken new premises down the road from Silverstone in Brackley. Worse still, deals that could have put Spice on a sound financial footing over the course of 1990 came to nought. Bernard Jourdain, who was to have raced for the team, was injured while testing for the Indy 500, while a possible tie-in with ex-F1 team owner Walter Wolf came to nothing. There were other factors, too, not least that the company founders were no longer racing sports cars by the end of '90. Gordon had been forced to focus on his automotive cash-and-carry business during 1989, and the lack of seat time contributed to the decision to quit that followed his first race outing of the year at Le Mans. 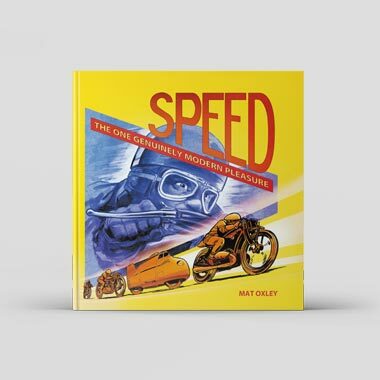 "I had always prided myself on being as quick as anyone in the same car," he says. 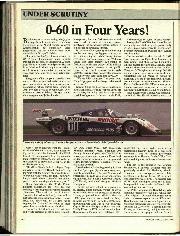 "Tim Harvey [who was racing the second works Spice at la Sarthe] was consistently a second a lap quicker so I thought I'd quit while I was ahead." BeIlm, meanwhile, had suffered a monster testing shunt at Jerez and didn't drive for six months. "Every time I stood up and looked in the air I fell over," he recalls. Spice Engineering came to an end under acrimonious circumstances at the end of 1990. Bellm blames Hazell and Hazell blames Bellm for the crash, and the two can't hide their dislike of each other to this day. Despite the circumstances of its demise, just about everyone involved in Spice Engineering looks back on their time with the company with fond memories. "Everyone involved in the original Spice will tell you that it was a lot of fun," says Humphrys. "It was hard work, but we had a ball." The Spice story didn't end when company founders Gordon Spice and Ray BeIlm walked away: the company lived on in various guises deep into the 1990s. Japanese property company Fedco, which happened to have a Spice chassis on order, rescued the British racing car manufacturer from administration at the end of 1990. The renamed Spice Prototype Automobiles remained in Brackley, with Jeff HazeII and Graham Humphrys at the helm, until Fedco ran into problems of its own. Spice subsequently passed to a consortium involving two of its former drivers. Costas Los and Jean-Louis Ricci bought the company together with designer Chris Humberstone who had earlier tried to relaunch Allard with the J2X Group C car. Exactly how many new cars were manufactured under the Spice Racing Cars banner in this period is unclear. It appears that a handful of coupés, including a car known as the AK93 incorporating components from the Allard, along with at least one open-top roadster for IMSA's new-for-1994 World Sports Car category, were produced. The final owner of Spice, Jon Dellor, tried to get entries for Le Mans as late as 1997 with something known as the Spice 97D. There is no evidence that this machine was ever finished. There was, however, plenty of evidence to suggest that the old Spice was a well-engineered car for all its aged design. 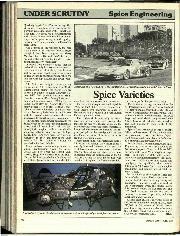 Spices bulked out the IMSA grid in the early years of WSC. 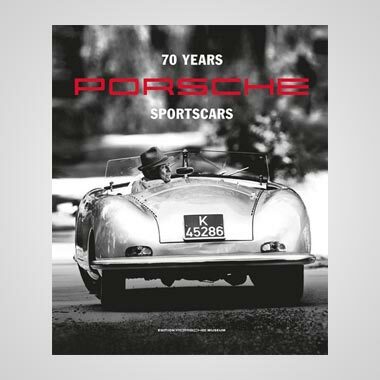 They scored the first major overall victories for the marque at the back end of '94 and came close to winning endurance classics at Daytona and Sebring the following season.